Founded as the Mennonite Children’s home in 1896, Adriel serves children who do not have a safe or healthy family environment. Today, Adriel provides foster care and adoption services for children. A foster care, adoption-through-foster care, and reunification services agency, Agape licenses foster homes, provides home studies, prepares children and families for adoption, and has supportive services for adoptive families. 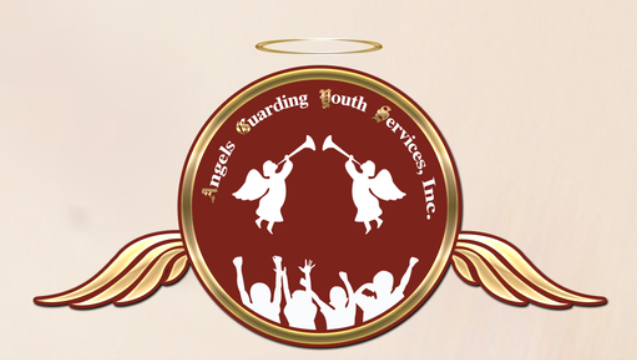 A ngels Guarding Youth is family owned and operated, headquartered in Springdale, Ohio. The agency prides itself on treating customers like family. Phone: 513-259-6174.
and other community support for children. They promote kinship care, which is care provided by a relative or member of the child’s family. Beech Acres Parenting Center trains foster parents and assists them throughout the foster parenting journey, from answering their initial questions through licensing and placements. They can also approve your family to adopt the children in your care. As a Beech Acres foster family, you’ll be part of a tight-knit community of other foster parents who are always there for each other. The agency also offers behavioral health care and other parenting services should you ever need additional support. Did you know that a family has the most important role in the healing of a child? As a foster parent you have the opportunity to provide a loving and healing family environment that supports a child until reunification with their family. To support foster families in restoring hope, The Buckeye Ranch offers: Case management services, respite services, training incentives, transportation support, and reimbursement for clothing, child’s allowance, mileage, and more. When reunification is not possible, The Buckeye Ranch is committed to finding permanency for children through adoption. If you want to be a part of this healing process please call today! Child Focus offers a spectrum of services from early learning programs for young children, school support services, foster care and community and professional training for family stability. They also offer volunteer opportunities for people to get involved in the community to support these children. Children Have Options in Caring Environments is an agency that began with foster care, licensing homes and training families. They now offer mentoring, independent living in apartments for foster care teenagers and home-based services in the Miami Valley area. They offer respite care for children in a family home, host family home or therapeutic facility. Host families are trained and supported, ready to welcome disabled persons into their own homes as a form of foster care. Envision focuses on individual youths and is targeted towards children with developmental disabilities. Focus on Youth is a faith-based foster care and adoption agency. Most of their support is offered in southwest Ohio by licensing foster homes. They recruit families and professionally train foster parents, adoptive parents and licensed social workers. Their adoption process is usually foster-to-adopt, meaning they like to match kids with foster families and then if reunification is impossible, the foster parents adopt the child. Lighthouse Youth Services (LYS) is dedicated to youth services, specifically in the area of foster care. Their main goal is to help children grow and mature into leading self-sufficient, productive lives. Lighthouse offers foster parenting training, home studies, and matching children with families. They also assist in preparing foster families to adopt children in foster care when reunification is not possible. National Youth Advocate Program (NYAP) offers parent mentoring, behavioral health services, foster care for children and families, foster-to-adopt programs and family preservation. Their main focus is reunifying children with their family through mentorship, family preservation and kinship support. NECCO is an organization that offers a variety of community-based services including treatment in-home and at prevention centers, case management, foster care services for children and parents, as well as adoption services. They provide home studies and assist in the adoption process. Oesterlen provides specialized treatment foster care for youth of all ages and/or disability. They assist in the licensing of foster homes and with training. There are also several youth services available for at-risk kids, including outpatient therapy and independent living. Ohio MENTOR is a foster care and mental health agency specializing in individualized treatment for foster children and families. They offer a high level of support throughout the training and licensing process, including the flexibility of offering pre-service training in a way that accommodates the family’s schedule. Ohio MENTOR understands the importance of matching the right child/children with the right foster family and is available 24/7 if needed once children are placed in the foster home. Pressley Ridge has been helping children and families since 1832. They offer school based training for children with disabilities, training for prospective foster care families, and training for families to help learn how to deal with challenging youth. Specialized Alternatives for Youth (SAFY) foster families are well trained and experienced, providing homes to youth in foster care. Their training includes intensive specialized care for individual children. They provide mental health services, respite care, foster care and foster training, adoption services and aftercare for children who are returned to their primary family. St. Joseph Orphanage (SJO) is a comprehensive behavioral health and educational treatment agency that offers therapeutic foster care programming for children who have struggled through difficult family situations. SJO offers foster parent licensing, trainings and home studies from two local campuses in Southwest Ohio (Cincinnati & Dayton) but has the capability to collaborate with families who are residents throughout Ohio. Trainings will provide foster parents with a trauma-informed care approach to help nurture the child or children who have struggled through difficult situations. SJO provides all foster families with services for emotional support, including case managers, therapists, and a 24/7 emergency line. SJO values foster parents and the crucial role they play in the lives of foster youth by offering incentives such as paid respite care, training incentives with free child care, wrap-around funds, mileage reimbursements, bi-weekly direct deposits and so much more! For those not ready to become a foster parent just yet, there are many volunteer opportunities to support SJO and the children in their care. Staff stand ready to answer any questions you may have. A trauma-informed care agency, The Village Network extensively trains foster parents for children who have experienced neglect and need homes where they can feel safe and secure. They complete home studies and require ongoing training in specialized topics for all foster parents. UMCH Family Services provides homes through our Treatment Foster Care Program, finds homes through our Adoption Program and strengthens homes through our Outpatient Family Mental Health Service Program for children and families in need. UMCH Family Services is a ministry of the West Ohio Conference of The United Methodist Church.